This article offers reviews for all slick trick broadheads, read this through to find out which one is your top favorite. 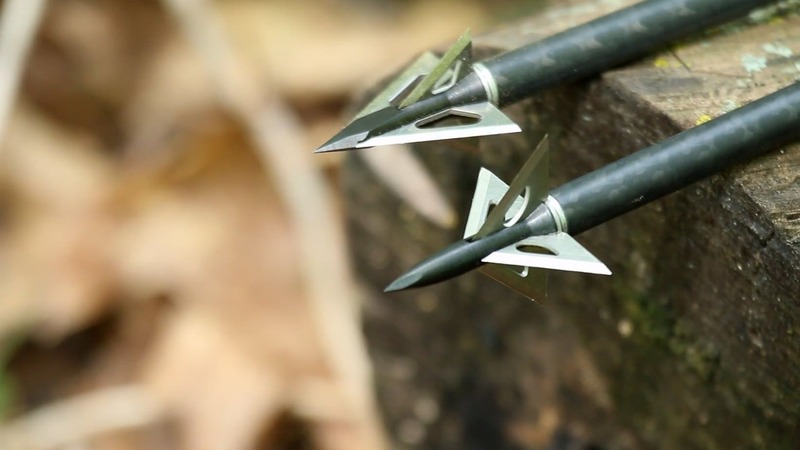 Slip Trick broadheads have their own prestige in their material, design, and performance. However, there have been such a large number competitors in the same price range that may confuse the bow hunters. This article will thus provide you with all Slick Trick broadhead reviews that will hopefully bring a more in-depth view of the broadheads of this brand name. Its name is standard, but its performance is not standard it all. In fact, this broadhead has been receiving many positive reviews on the Internet. Despite its small look, it can cut a big and quite deep 4-hole. Also, it offers much more strength and structural integrity than aluminum. The ferrules are durable, which can be used many times after harvesting. The blades can also be sharpened if you want to, but it is always more recommended to use the replacement blades. This broadhead is reported to take down numerous big-size deer, which claims its high performance in penetration. However, I am not saying that this broadhead will compensate for poor shots. In fact, no broadhead can kill anything if you don’t place it correctly. And even though the Standard can shoot consistently with an inch or two, the blood trail is not the greatest one. Overall, the standard Slick Trick is still a common recommendation from the bow-hunters, especially those with many years of experience. This broadhead has been experiencing quite many debates on its performance. About the positives, it is reported to be an exceptional arrow with decent blood trail and nice body exit wound. Some even say this broadhead is a must-have one of the must-have items in bow hunting. It flies with great speed and has a good amount of penetration. 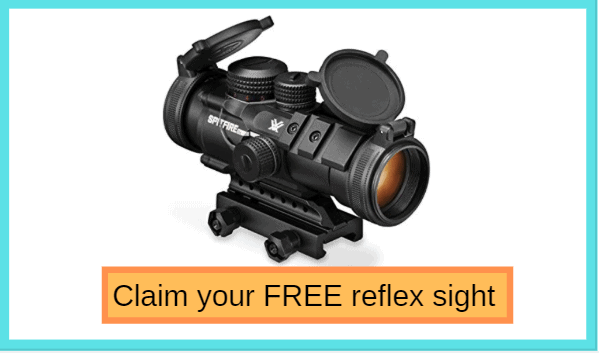 It is also easy-to-track, durable and seems to be a good deal because of its price. This broadhead is said to fly like a field point and hit the target with a neglectible error of accuracy. About the negatives, some reported that this broadhead needs a lot of tuning. And the thing is, even after tuning multiple times, the magnum Slick Trick still cannot function properly. Also, it is not quite durable for big-size targets, it requires regular maintenance and sharpening after uses, and the replacement blades are of lower quality. There seems to be no controversy about this one. A majority of bow hunters express their favor for this Slick Trick; they have been using for a couple of years with great success and planning on using it for all hunting seasons to come. The Vipertrich typically comes with 100 grains, cut on contact design, 4-blade, and 1 15/16”cut. It is again not a big head, but you won’t need it to be. With the Vipertrick, 2 or 3-inche hole is not a matter. This head can perform flawlessly very time you put it on the show. Additionally, the blood trails are fantastic; recovery is quick, and your targets don’t usually go far from you. The blades are very sharp and easy to assemble, they can go through animals at every size. The Grizztrick 2 is the biggest broadhead among the 6 Slick Trick; you can thus expect its high performance in penetrating and damaging the targets. It can leave a really big and deep hole onto the animal’s skin surface. The design is also what makes most of the hunters rank it as a 5-star broadhead. You have two different blades, on gets slot on the lower side, the other gets a slot on the upper side. What you may not like about this broadhead is the metal ring on the bottom of it. When the blades are locked in there, they come down and have a piece of this metal ring slip over. If the blades get loose from the arrow, they are going to rattle. For this Slick Trick, as the blades are big, the blade locking system seems to be not able to function properly. Honest to say, the Xbow is less popular than the other 5 Slick Trick, even though they fly with great accuracy and massive damage. Some even stated that they took about 20 shots with the Xbow and had no degradation to the accuracy. This is to show that the Xbow can maintain its performance after many times of using. As compared to the Grizztrick 2, it is a little bit smaller (equal size with the magnum) and may be its size makes it less popular. In fact, people seem to be more interested in the Magnum and Vipertrick than the Xbow. The Xbox performs best within 30 yards, as it puts the bolt too much pressure in front of the center. When exceeding 30 yards, its trajectory may drop substantially and cause you difficulty in aiming sometimes. This broadhead is the smallest one of the 6 Slick Trick. However, as compared to the Viperstrick, this one is definitely less favorable. The Riptrick is designed for the small games. And I don’t recommend shooting deer or any big-size targets. Instead, It’s primarily intended for rabbits, squirrels, woodchucks or coyotes. The Riptrick is designed with a blunted tip to transfer maximum energy to your target, and the hook-type blades are also designed to impart that energy into the quarry and stop the arrow. Thus, your arrow will have a tendency to grab the ground and catapult, which prevents the overtravel or losing it. With its sharp blades and tip, you can shoot in the rocky areas more effectively and damage your target more easily. We’ve just gone through the complete Slick Trick broadhead reviews, and just so you know, different bow-hunting styles and different sizes of the games may demand different broadheads. Overall, the Slick Trick can be considered as a reputable brand name for broadheads, with its mid-range price range, the quality of the broadheads make them really good deals. Thank you for reading my reviews, hope you find it helpful.